Sacramento often seems to languish in the shadow of San Francisco and Lake Tahoe, but those who live here know its abundant amenities. There are copious trees, two rivers and endless places to hike, bike or walk. It’s also the self-proclaimed “farm-to-fork capital” of the nation—with plenty of hip and innovative restaurants to back up the claim. 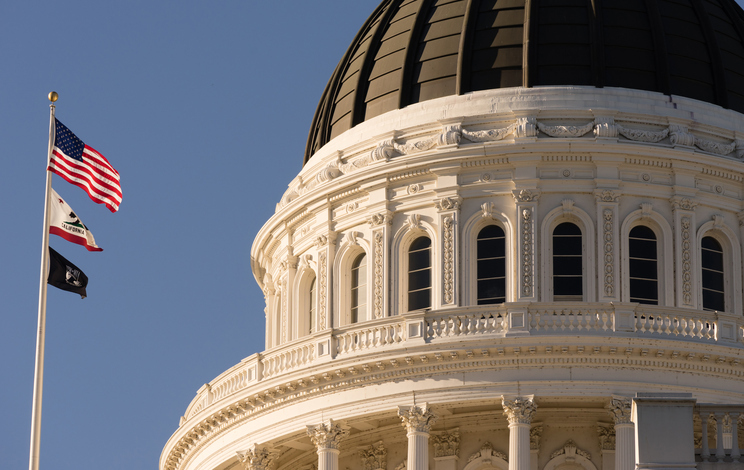 Whether you’re looking for urban hustle and bustle, suburban charm or places to get your adventure on, Sacramento offers a little of everything. Thinking of moving here? Read on to discover the city’s best neighborhoods. Sutter’s Fort in Midtown, photo courtesy Wikimedia Commons. Perfect neighborhood for: Well-heeled professionals, foodies, nightlife aficionados. If you want an urban, walkable lifestyle then look no further than Midtown. 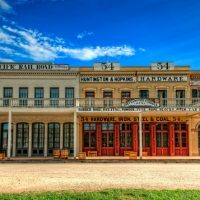 Shops, restaurants and watering holes commingle with Victorians and Craftsman bungalows as well as mid-century modern apartment buildings. It’s all easy traversed—the neighborhood is laid out on a grid of alphabetized and numbered streets—and relatively compact. 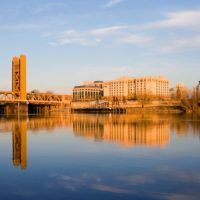 Bonus, it’s just steps from the Sacramento river bank and the burgeoning Downtown district, which includes the Golden 1 Center, as well as Old Sacramento, a family-friendly tourist destination that pays homage to the city’s railroad and Gold Rush roots. Midtown wasn’t always the hip destination—for decades it basically shut down after dark. Still, it was revered as an affordable neighborhood for artists, college students and state workers. The early aughts’ pre-recession building boom brought gentrification—a trend that’s recently re-ignited and accelerated at warp speed. All that growth has, not surprisingly, brought controversy as beloved old businesses give way to trendy restaurants, taprooms and chic boutiques. Rents and mortgages have skyrocketed, too. Still, it’s a great place if you can afford it. And, yes, these days it stays open long after the sun sets. 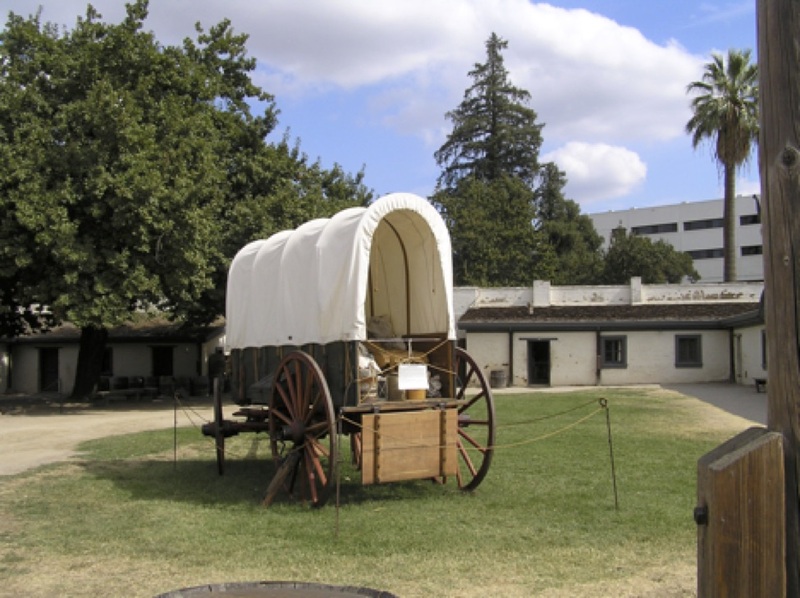 History in action: Be sure to visit Sutter’s Fort—a sprawling historic state park and home of the original, lovingly restored 19th century-era waystation for early California settlers. Walk a few blocks over to find the Governor’s Mansion, Built in the late 1800s and purchased for use as the governor’s residence in 1903, it closed its doors in 1967. Eventually the building was restored and reopened in 2015; now it’s home to Gov. Jerry Brown, his wife Ann Brown and Lucy, the couple’s “Borgi” (a Welsh Corgi and Border Collie mix). It’s open for tours and a must-visit for history buffs and those hoping to catch a glimpse of the Brown family. Nightlife: Don’t miss Harlow’s Restaurant & Nightclub. With its Art Deco-inspired interior, it’s a great place to catch comedy and bands. Also noteworthy, the Press Club, a gritty corner bar that’s stayed true to its grimy Midtown vibe with punk, soul and rock as well as a popular Sunday night DJ dance party. Tasty bites: Magpie (revered for its farm-to-fork cuisine) and Pushkin (the go-to spot for amazing gluten-free, vegan eats), but don’t ignore old-school options such as Zelda’s Gourmet Pizza, famous for its deep-dish pies or Tres Hermanas, loved for its authentic Mexican fare. The house Lady Bird coveted, photo courtesy of A24 Films. Perfect neighborhood for: Families, athletes, nature lovers. Sacramento’s East Sacramento neighborhood fits many lifestyles and budgets. There’s the super-tony Fab Forties area which, with its canopied streets lined with stately Tudors, impeccable bungalows and bona fide mansions, is best known as the neighborhood Ronald Reagan called home while leading the state (he refused to live in the official Governor’s Mansion). It’s also very expensive—many homes sell for more than $1 million. Don’t fret, though, East Sacramento encompasses more realistic options, too, such as Elmhurst, which boasts just as many trees and adorable but affordable homes, or River Park, just footsteps from Sacramento State. Healthy living: With its walkable streets, bike trails, parks and river walkways, the area is popular with joggers, walkers and bikers. McKinley Park, renowned for its gorgeous Rose Garden, is a favorite. Family dinners: Enjoy a bounty of family friendly dining options including the original Selland’s Market (popular for its weekly $25-dinner-for-two special, which includes a bottle of wine) and The Shack. The latter is a favorite beer spot, but with its child-friendly patio (kids can use sidewalk chalk to express their artistic side) and hearty sandwiches, it’s great for all ages. Perfect neighborhood for: Millennials, artists and urban adventurers. Oak Park is Sacramento’s first suburb and dates back to the late 1800s. In the early 1900s it thrived as a family-oriented neighborhood and a retail/entertainment destination. Home to streetcars, the Joyland amusement park and the original California State Fair, it was the hot neighborhood. Starting in the 60s, freeway changes created an infrastructure that led to its slow decline and a rise in crime. Still, throughout the years it’s strong, predominantly African-American community core remained. 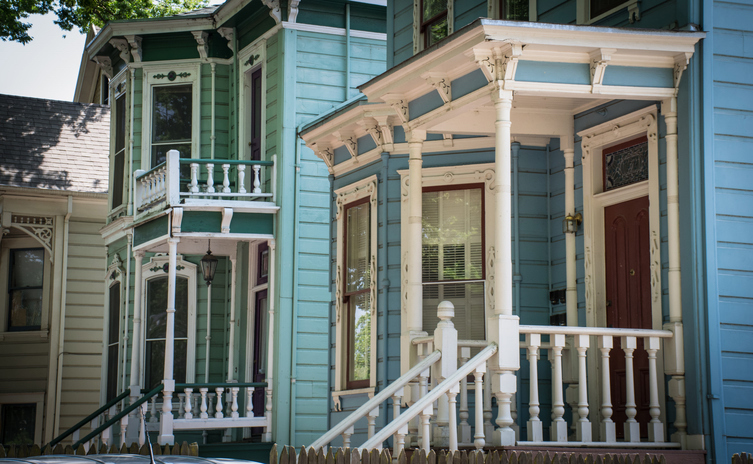 Now, Oak Park is one of the most desirable (and affordable) neighborhoods for those who want an older home with charm and character. The revitalized stretch of Broadway and the developing “Oak Park Triangle” boast shops, restaurants and great drinking spots. The area is also home to prominent local employers including UC Davis Medical Center and McGeorge School of Law. Family friendly: Visit McClatchy Park to get a feel for the original Joyland or its popular weekly farmers market. 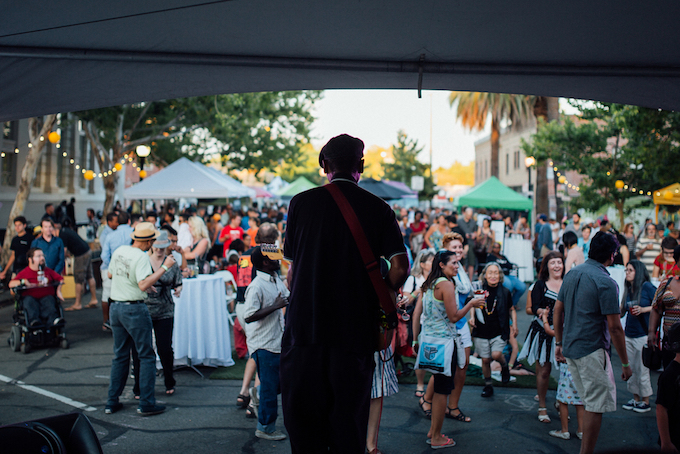 In the summer months don’t miss Gather, a regular community block party featuring live music, food trucks and neighborly conversation. Get your drink on: Arthur Henry’s Supper Club & Ruby Room is a must. With its vintage wallpaper, killer jukebox and ambitious (and strong) cocktails, you’ll want to while away the night. If beer and cider are more your thing stop in at Oakhaus Brewing. Styled after a German eastery, this hip spot invites with its kitschy decor and miles-long drink list. Shop local: Oak Park hosts many great local, independent retailers. 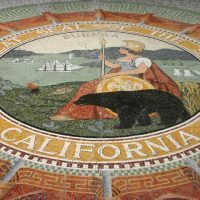 Check out Display: California, which curates a collection of impossibly cool Golden State-themed items. Other gems include Underground Books, which highlights black authors and Strapping, a tiny but-packed-to-the-rafters shop stocked with affordable and fun gifts and gender-neutral clothing. There’s a reason Redfin projected Hollywood Park as the nation’s eighth “Hottest Neighborhood” in 2017. Located south of Midtown, this 1950s-era neighborhood feels like Small Town, USA with its affordably modest but charming bungalows and tidy, tree-lined streets. 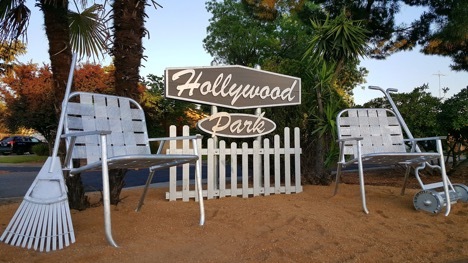 Hollywood Park is popular with young families for its good schools and friendly vibe—every summer residents throw a Fourth of July parade. 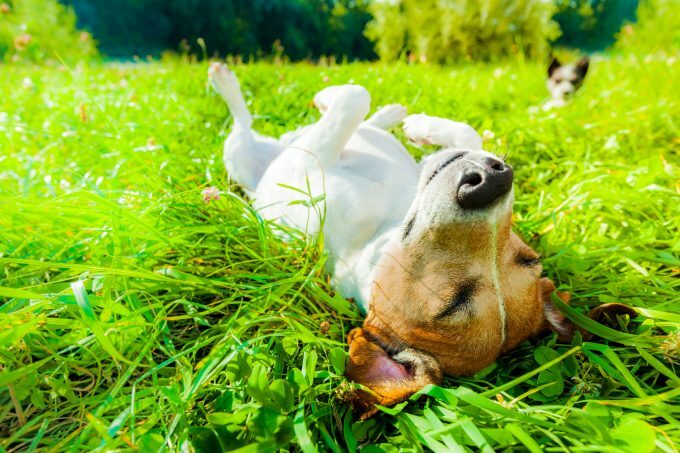 Pet-friendly: Neighborhood residents are often seen walking their best friends but if you crave a little more adventure the nearby Partner Park is a favorite. Family fun for everyone: The city’s largest park, William Land Park, is just a brisk walk away. With its expansive golf course, duck ponds, picnic areas and fitness course it’s a popular place to spend the weekend. 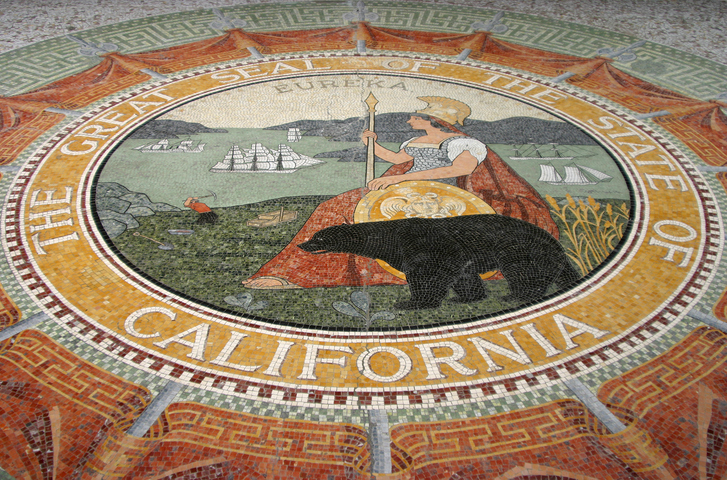 It’s also home to the Sacramento Zoo, Fairytale Town amusement parks (a birthday party destination) and the William J. Carroll Amphitheater, which hosts Shakespeare classics every summer. Essentially you’ll never want to leave. Beer heaven: Thirsty? Check out the industrial business strip that edges Hollywood Park. It’s home to the popular Track 7 Brewing Co. Fountainhead Brewing Company and, if you prefer something bubblier, Two Rivers Cider Company. Each spot offers room for kids to play making for a nice family weekend outing. Johnny Cash Trail, photo courtesy of Public Domain Pictures. Perfect neighborhood for: Sacramento expats, family outdoor enthusiasts. One of Sacramento’s best neighborhoods is technically not in Sacramento. 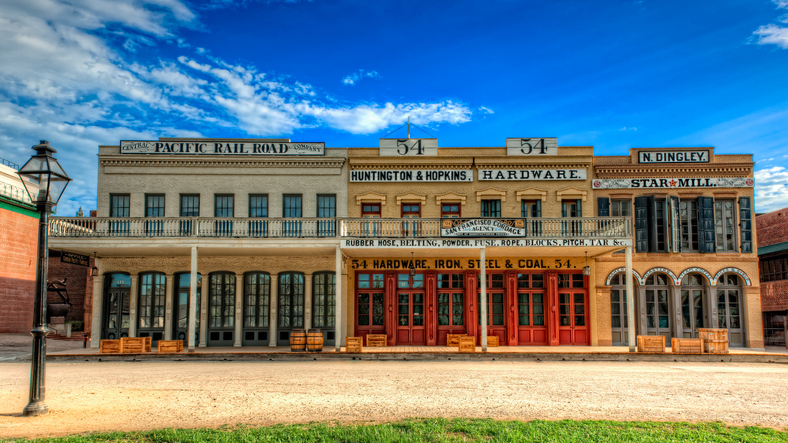 Folsom, founded in the mid-1800s, is a spacious foothills town just east of Sacramento—and a prime destination for families in search of a good school district, parks and outdoor activity—including 32 miles of bike trails and hiking spots. It’s also home to the Folsom Lake Recreational Area, which includes Folsom Lake, an 11,500 acres reservoir created in 1945 with the construction of Folsom Dam. Make a day trip out of it and go boating, or hiking. 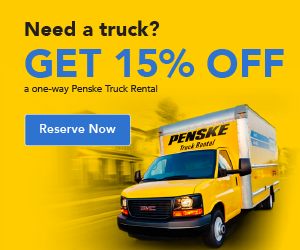 Bonus: Folsom skirts Northern California’s famed wine country region and is just a relatively short (if often traffic-clogged drive) to Lake Tahoe. Entertainment: Folsom may not be a nightlife mecca but it does have its highlights. The Harris Center for the Arts hosts stellar theater, music and lectures. If you’re looking for something more low-key, visit the town’s historic downtown district, which features popular spots such as Powerhouse Pub and the Prohibition Wine Lounge. Criminal history: Johnny Cash fans will always associate Folsom with Folsom Prison—and for good reason. One of The Man in Black’s most famous songs, “Folsom Prison Blues,” is about the state prison and, in 1968 he performed a live concert for its inmates, the results of which became the album “At Folsom Prison,” released that same year. Notable prisoners have included musician Rick James, record producer Suge Knight and writer Timothy Leary. You don’t have to get locked up to learn more—just visit the Folsom Prison Museum, which features artifacts and memorabilia. Visitors leave with a handful of free rocks, reportedly from the prison’s labor yard, or buy prints of photos of Johnny Cash in the adjacent gift shop. 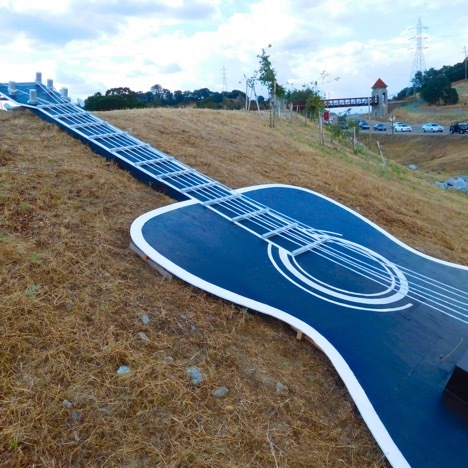 Folsom takes its Johnny Cash connection so seriously it forged the Johnny Cash Trail, a pathway around the prison that pays tribute to the late singer. Rachel is a freelance writer in Sacramento. 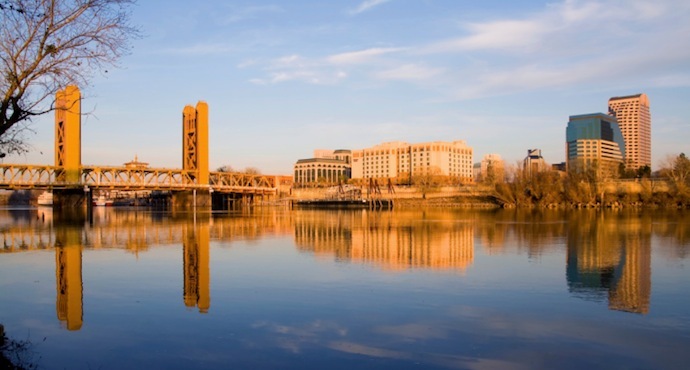 If you’re considering a move, Sacramento is a wonderful choice, what with its gorgeous rivers and plentiful trees. The state Capitol is the ideal place for political movers and shakers—and a lot of fun, too…. How Dog Friendly is Sacramento, Really? 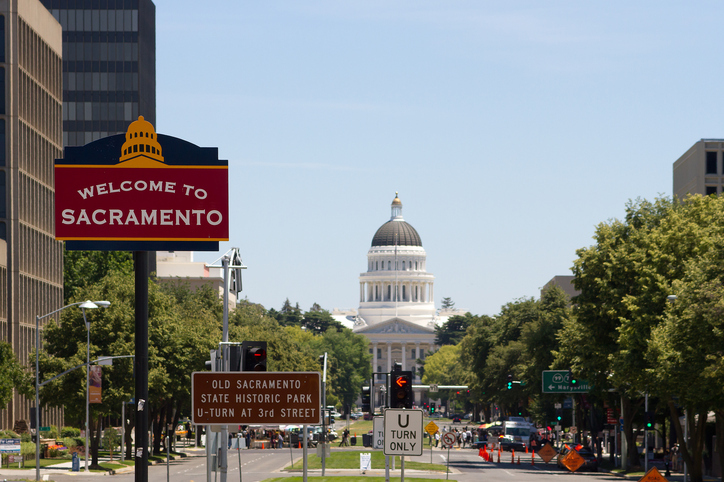 Where Are All the New Residents of Sacramento Moving From?